Rod joined the New South Wales Police Force (NSWPF) in January 1980 and performed general duties at various commands within the Sydney metropolitan area. In 2000 Rod was promoted to Chief Inspector and began Duty Officer duties at the Strategic Support Unit (SSU) where he had his first taste of the administrative functions that underpin the operation of a Police Force. Whilst at the SSU, Rod provided assistance to the Commander in the management of such important and diverse program areas as Domestic Violence, Aboriginal Issues and Cultural Diversity. In 2005 Rod was promoted to Superintendent and took command of the Executive Support Group which now included Policy and Programs, Project Management and the Commissioner’s Correspondence Unit. During his time as Commander ESG, Rod was responsible for the implementation of the Police Integrity Commission recommendations arising from Operation Abelia, the development of new Youth Policy, Domestic Violence Policy, the development and introduction of School Liaison Police. Rod was also responsible for responses to the Coroner and the production and printing of the NSWPF Annual Report. In November 2011 Rod was seconded in to lead the Workforce Improvement Program, a project that encompassed 12 separate projects, as a direct result of changes to the Death and Disability legislation. Key projects included rewriting the Injury Management Policy, SOPs and Guidelines and changing the SAP system to enable the continued payment of sick and injured workers. 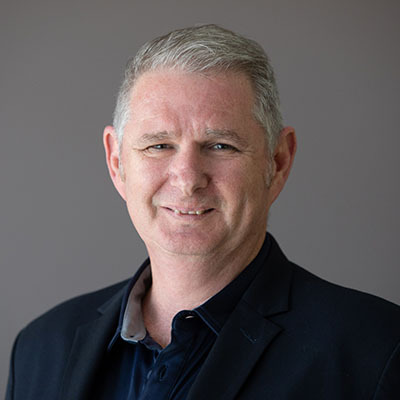 Rod has completed a number of tertiary qualifications including a Bachelor of Commerce (Management), Graduate Certificate in Applied Management, Master of Business Administration, Diploma of Project Management and Executive Master of Public Administration. In 2016 Rod was seconded to AIPM as a Visiting Fellow and in 2018 joined AIPM as a Director.